Driving through the Albanian Alps was the first time I’d seen snow on the trip. The mountains looked unreal, floating above a layer of fog, delicately capped with snow. It was exciting seeing real mountains again: jagged, snowy, treacherous mountains. It felt like home, it felt like winter. But it also came with a reality I was not prepared for: things were about to get very cold. It was zero degrees as we stepped off the bus into the dark streets of Prizren, Kosovo. I did NOT pack for this. If it was possible, our hostel room was colder than the outside world. Central heating is practically non-existent in Prizren. All of the homes and restaurants have wood-fired stoves that act as warmth for the rest of the space. Standing next to it is wonderful. The stove lets off a lot of warmth, and the burning wood makes the whole place smell like Christmas. But dare to walk into the next room and you might as well be a giant human popsicle! Luckily for us, however, the forecast called for sunshine and a high of 8 degrees during the day. Combine that with a hike up the mountain and the cold became tolerable. Which was good, because Prizren is too beautiful to miss. Prizren is small. It’s easy enough to see the highlights in just a few hours, and spend the afternoon eating 1 Euro bureks and reading a book over a hot mug of apple, quince kompot. 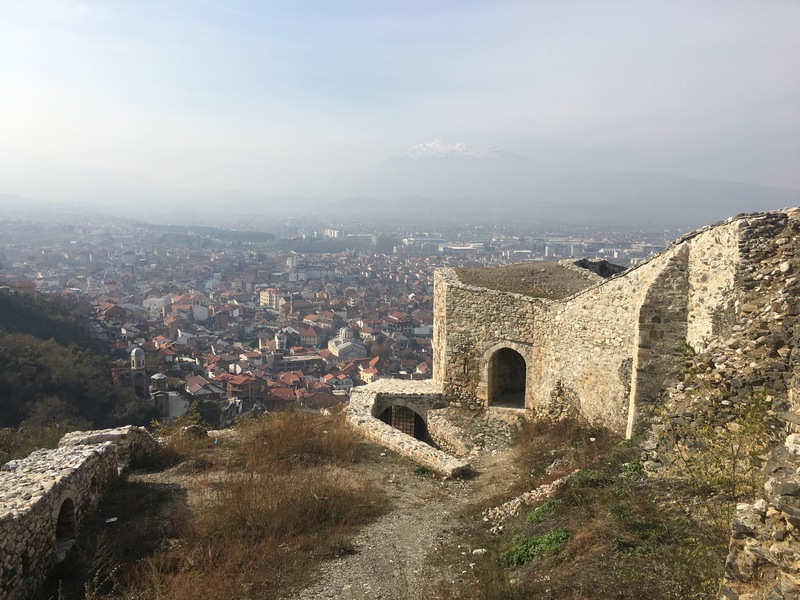 My favourite sight was Dusan’s Fortress, a medieval fort on top of a hill that once served as the capital of the Serbian Empire. It’s only a 15 minute walk to reach the fortress gates, but the view is spectacular. From the walls of the fort you can see the whole expanse of Prizren (much larger than I would have thought). 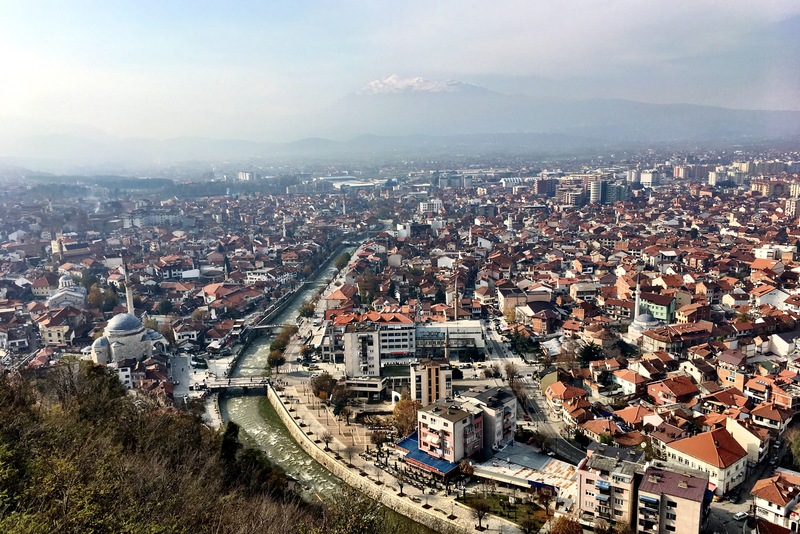 The small river running through the centre of town with its rows of old stone bridges, the multitude of minarets that cut into the city’s skyline, and snowy Pashtrik mountain in the distance: Prizren is not lacking in beauty. We arrived at the fortress just as the call to prayer began. The sounds of a dozen or so dueling mosques bounced around the city in a cacophonous echo. We sat on the edge of the wall, taking in what little warmth there was and listened to the prayers below. These days the sun sets early in the Balkans. By 4:30 the light is gone and the temperature dips below freezing again. It took all of my effort just to make it to dinner. We spent our evenings huddled up in coffee shops and sharing beers with new friends. 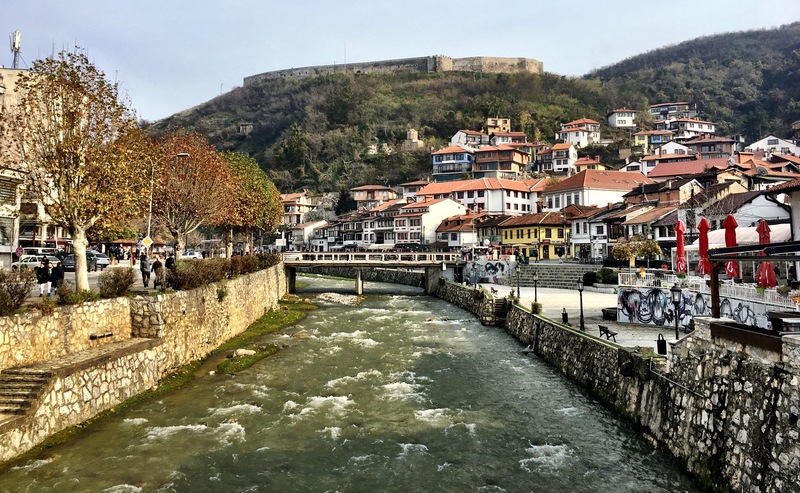 Our time in Prizren, albeit short, made me want to explore more of Kosovo. The area has such an intense history and yet the people are some of the nicest we’ve met on our trip (The hostel owners at Driza’s House were incredible!). 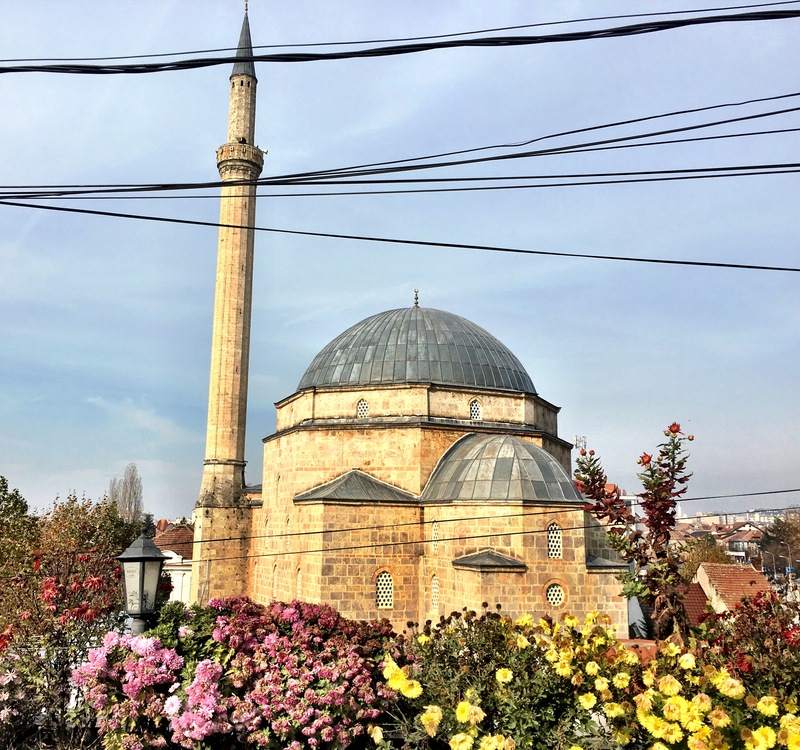 We heard that the capital, Prishtina, is WELL worth the trip, and yet, time is sadly not on our side. Our journey south must continue. Onward to Macedonia! This entry was posted in Europe, Kosovo and tagged Fortress, Mountains, Prizren, Snow, Travel by hilarylust. Bookmark the permalink. You should! Kosovo is so beautiful! I heard Prishtina is worth the trip as well, but we just didn’t have enough time. Where were you living in the Balkans?